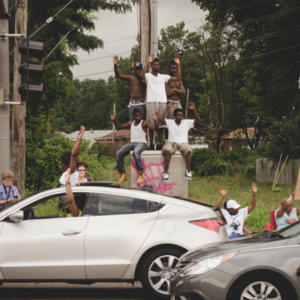 A photographer, librarian, and professor discuss the importance of documenting events following Michael Brown's death and the challenges facing that project. “The whole reason I came out here originally is because I heard there was a riot and I just wanted to drive by and take a couple photos, but eventually it became something else entirely, now it is a life experience, “ Levy said. Levy is the number one contributor to Washington University’s "Documenting Ferguson" project, a crowd-sourced repository of images and testimony that began in August. As we talked recently, his back was toward the store where Michael Brown allegedly stole cigars before being stopped and shot by Darren Wilson. Levy points to one building untouched by looting and arson and another across the street that is little more than rubble, discussing how the multiplicity of experience related to Ferguson doesn’t seem to be a major media priority. Levy said he couldn't imagine a better home for dozens and dozens of images he has sent in than the documenting Ferguson project. Levy doesn’t work for AP or Reuters. He makes no money from his photos. 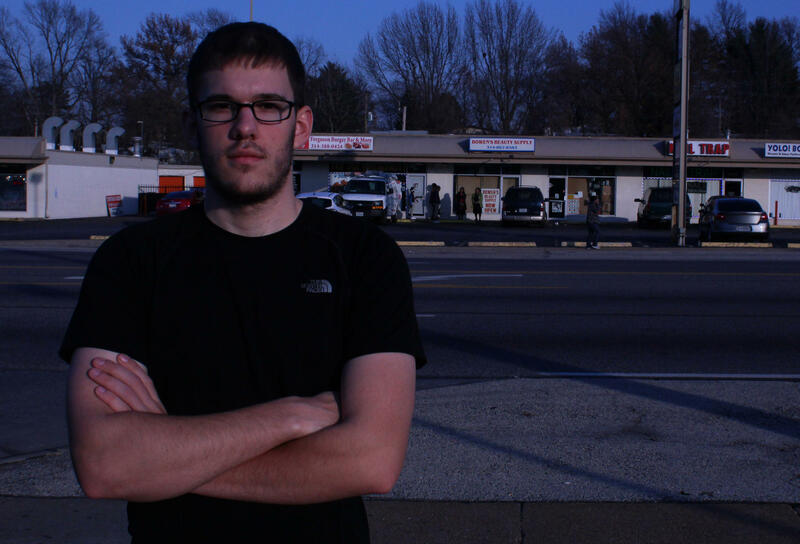 His work was fueled by what he saw as a dire necessity to record the events in Ferguson. If asked about his experience taking photos, he admits to being hassled by protesters and police, but quickly brushes past the bad, to focus on the good, even when discussing being punched by someone in a tense moment. Levy’s primary concern is that people from St. Louis and beyond have a chance to see his images and get a better understanding of the events unfolding after Aug. 9, 2014. “What I want is for people to see the images and let the images tell a story, you know a picture's worth a thousand words, so hopefully there’s a whole books worth of stories with those photos,” Levy said. 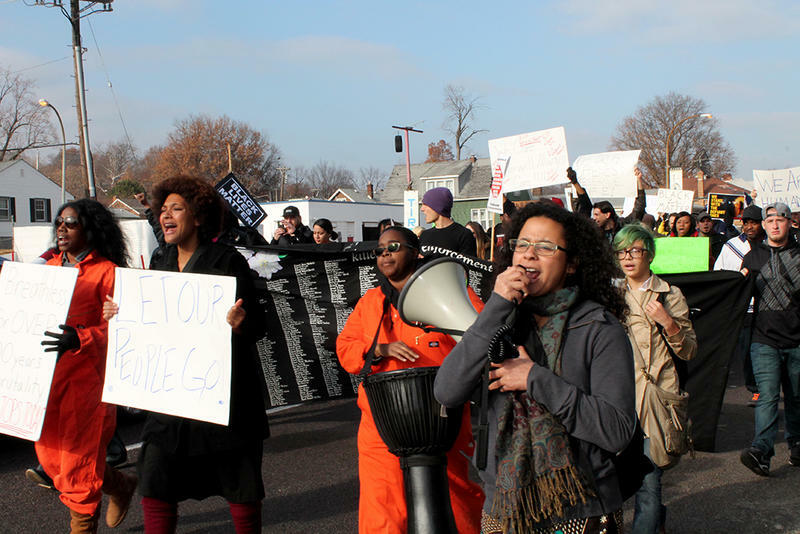 Levy’s passion to record and share that media is common, yet Documenting Ferguson and similar archives face two main roadblocks: building community trust and archiving new technologies. 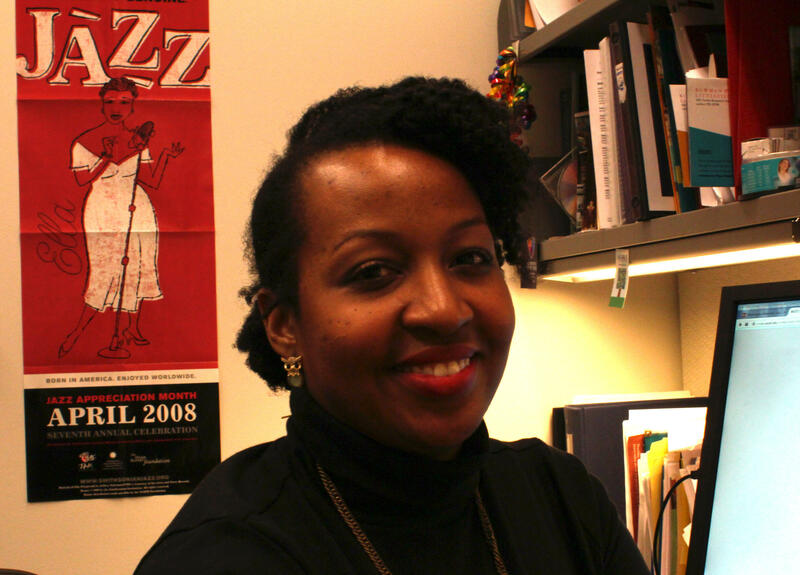 Makiba Foster spends most of her day conducting research for Washington University for professors in Olin Library, managing digital projects, and sometimes reviewing submissions to Documenting Ferguson. She says Documenting Ferguson has a clear purpose. “Ultimately we would hope this would be something that will allow for a more nuanced or better understanding of what happened Aug. 9, and following that, not only in Ferguson but around the world,” said Foster, who came on the project two weeks after it was launched. Foster says the project is deep in the first stage of gathering content. They’ve haven’t yet developed a method for sorting the information or designed the best way to present the content gathered so far. On the site, submitted testimony, images and data appear in reverse chronological order; the most recent submissions are the most available. Foster’s goal is to turn this repository into an independent archive for the people, free of overt media influence. Currently, she’s still persuading people to contribute. Her time is focused on one primary objective. 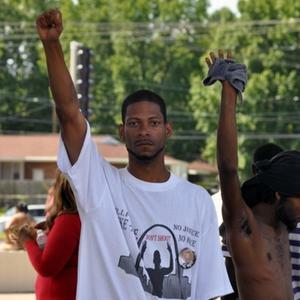 “We’re really thinking about the stories that are involved and how we can go into those communities and have trust to where they would feel comfortable telling us their experiences with the protests and the death of Mike Brown,” Foster said. To try to gain community support, she attends events such as those organized under the Ferguson October banner two months ago. Foster made headway, gathering pamphlets and posters, handing out flyers soliciting content for the archive. Yet, she’s aware of the archive’s limitations, specifically in the realm of capturing and processing social media related to Ferguson. “We’re trying to capture the social media because that was really important to the early beginning of this particular movement but it’s still a struggle to figure out how to get what you need,” she said. Michelle Caswell, professor of archival and information studies at UCLA, is an expert in community archiving. According to her, capturing important moments from fluid platforms like Twitter and Facebook and migrating that information to external databases can be technically difficult. Jimi Lee Jones, a professor at the graduate school of library and information science at the University of Illinois at Urbana-Champaign, says one of the issues is cloud-based technology. Videos posted from a mobile device directly to platforms like Vine or Facebook have no “local copy.” A local copy is like an original file that can be transferred or incorporated into another database. Jones sums it up the issue succinctly. Both Jones and Caswell agree that these social media sources are great for creating content but function poorly as trustworthy vaults for preserved documentation. Additionally, there are still debates about who technically owns digital imagery or video like Vine. The intellectual property is the creators', but the actual data, the bytes of information, may belong to the company depending on the user agreements clicked on when you begin using their services. Archivists also face the challenge of preserving rapidly changing formats. “We need to make sure that tweets and cell phone generated video footage and photos don’t become the floppy disks of the future where 15 years from now people won’t be able to access the tweets or photos that are being generated during the Ferguson protest,” said Caswell. Yet Caswell says the concerns surrounding new technologies are still secondary to gathering information, and gaining community trust. 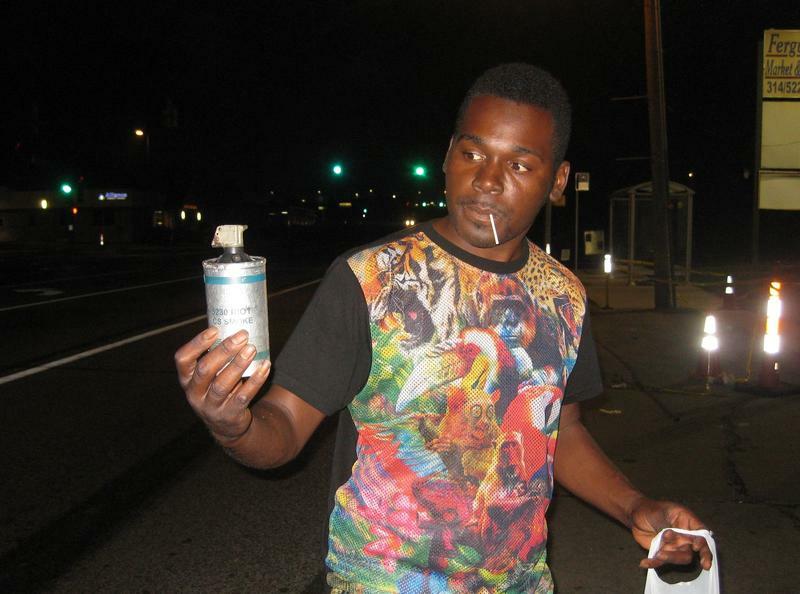 “A project like Documenting Ferguson is only as strong as its contributions,” Caswell said. It’s a maxim that rings true for all community based archives: they are only as strong as the support they receive. WASHINGTON -- Thousands took to the streets Saturday in cities across the country for a so-called “National Day of Resistance” to protest the decision of grand juries not to indict police officers for the death of Michael Brown in Ferguson and Eric Garner in New York. Following a night of turmoil and tear gas in which a half-dozen people were arrested and more businesses were vandalized, this morning was quiet in Ferguson. 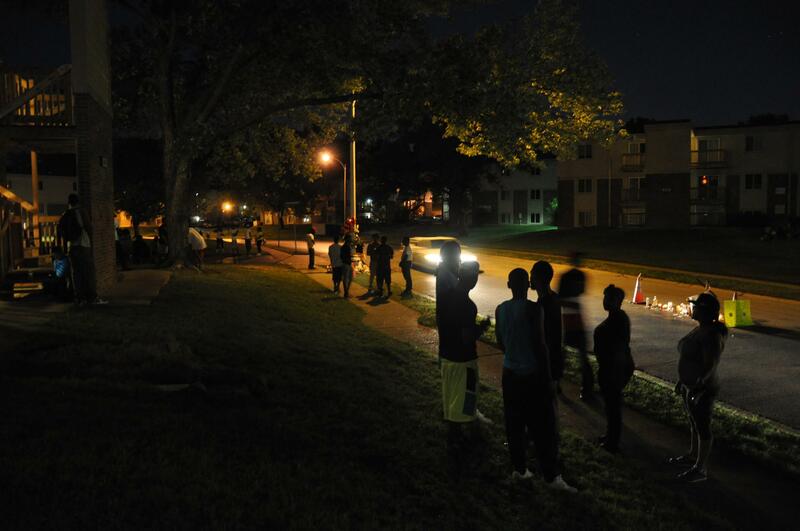 Only a few cars traveled West Florissant Road near Ferguson Avenue as the night’s curfew was lifted at 5 a.m. Several were media vehicles, including a large CNN truck.